PORTLAND, OR / ACCESSWIRE / July 24, 2017 / Eastside Distilling, Inc. (OTCQB: ESDI) ("Eastside" or the "Company"), a producer of award-winning craft spirits, today announced the appointment of Jarrett Catalani as Senior Vice President of Sales. 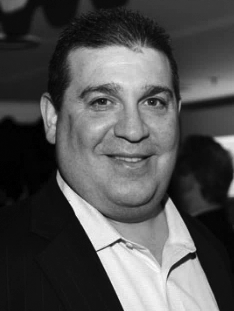 Catalani brings a wealth of experience to Eastside, having worked in sales at small and large spirits companies. Catalani has an exceptional track record launching new brands, having been part of teams that developed strategies, and implemented action plans, to launch Bulleit Bourbon and Ciroc for Diageo, Russian Standard Vodka for ROUST, Pete’s Wicked Ale for Pete’s Brewing Company, and the relaunch of Czech Beer Pilsner Urquell. Eastside Distilling appoints Jarrett Catalani as Senior Vice President of Sales. In his role at Eastside, Catalani will work with the sales team to promote sales of the Company’s award-winning products, including Portland Potato Vodka, Burnside Oregon Oaked Bourbon, Barrel Hitch American Whiskey, Marrionberry Whiskey and Big Bottom Distilling's Delta Rye and 91 Gin. "This is the right time to be joining Eastside Distilling," commented Catalani. "I look forward to driving market adoption of the existing and newly rebranded portfolio of spirits created by our distillers Mel Heim, Travis Schoney and Ted Pappas. My goal is to continue our growth in Oregon, where we have had so much success, and add additional points of distribution in key national markets." Grover Wickersham, Chairman and CEO of Eastside Distilling, commented, "We are rebranding with the direction of spirits branding experts, Sandstrom Partners. Being on the cusp of our new product launches, it's awesome for us that our team now includes an old pro like Jarrett, with his many years of experience in launching new brands. I am highly confident that with his seasoned leadership we will be able to accelerate Eastside’s growth." Jarrett Catalani has joined Eastside Distilling as Senior Vice President Sales. Mr. Catalani brings 27 years of adult beverage experience. Prior to joining Eastside Distilling, Mr. Catalani served as Senior Vice President Sales for Fishbowl Spirits, a premium spirits company, owned by singer songwriter Kenny Chesney. Mr. Catalani spent from October 2010 until April 2016 at ROUST (Russian Standard Vodka), in various officer roles, including Western Divisional Vice President from October 2010 until November 2012, and Senior Vice President of Sales from November 2012 until April 2016. He spent eight years in various roles at DIAGEO, his last position being Reserve Brand Director, California. His previous employers include PilnerUrquell USA, Pete's Brewing Company, Jim Taylor Corporation and Wilhelmi Beverage. He earned a B.S. in Business Management from Southern Illinois University in Carbondale in 1990.